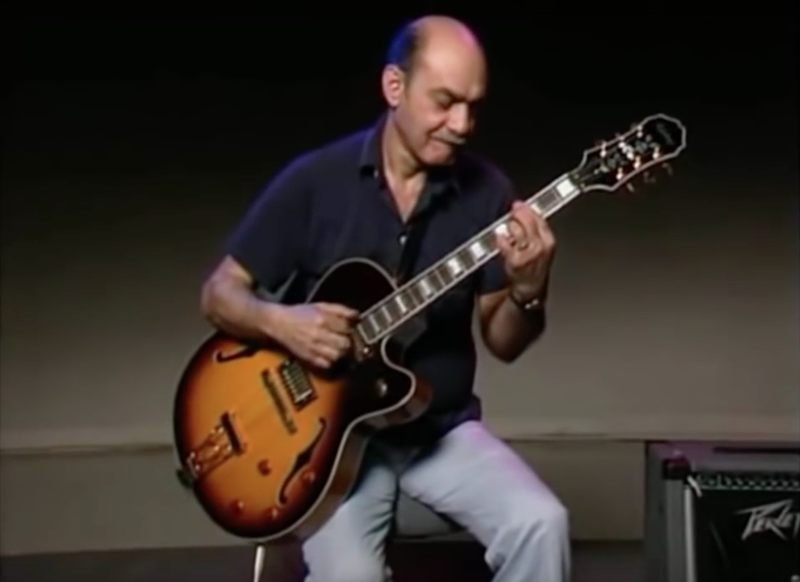 Featuring both right and left-hand techniques shown in split-screen with tablature, the 60-minute video below Joe covers bebop blues, new chord substitutions, pedal tones, jazz/blues improvisation, and much more. As usual, Joe’s instruction is full of wit and style. His invaluable guitar lessons take you straight to the heart of the “blue” side of jazz guitar.